You are here: Home / Affiliate Marketing / How NOT to Make Money Online – Don’t Fall For These! How NOT to Make Money Online – Don’t Fall For These! A lot has been written about “how to make money online”. There are just so many ways. From freelance writing to selling your old records on ebay, selling Kindle books and doing Fiverr gigs, there are endless opportunities for making money on the internet. I opted to do affiliate marketing, which I speak of a lot on this blog. It works for me and it works for a lot of people around the entire globe. In this article, I’m going to talk about some of the ways to NOT make money online. I do a lot of reviews on this blog and I’ve seen a lot of people complain about scams and stuff that they shouldn’t be getting into in the first place. As they say, time is money and I don’t want you to waste either of those resources doing something that is going to disappoint you eventually. The following methods have been listed because they’re highly unethical, risky financially or simply yield too little return to be worth your time. (1) Paid Surveys – Any paid survey sites that require you to pay for access is a scam to begin with. Surveys are conducted by market research companies and they usually want willing participants who will share their opinions unmotivated by the reward. When you sign up to paid survey sites, all they give you is a big list of survey companies that will pay you for taking these surveys. You can find the same lists elsewhere on the internet for free. Most importantly though, is that you don’t want to get into doing surveys as a way of making money online because the companies will often pay you about 10 cents to $1 for each survey you complete. And this is usually after they’ve screened you to see if you are the ideal participant for their survey. 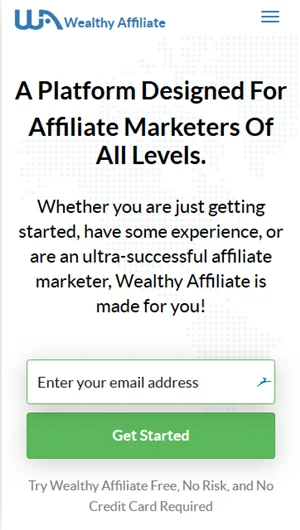 Some people think that if they sign up for a bunch of survey sites and just work them all, even at 10 cents per survey, then they could earn a substantial amount of money but doing it this way would take a lot of time out of you – time better off spent learning how to actually start a real online business with passive full time income potential. The bottomline with surveys is that you’re trading your time for pennies and getting paid far less than the minimum wage. You’d be better off just going out and getting a job that paid minimum wage. This is another opportunity that pays very little for an active task. You get paid to open emails and read ads which might seem like a fun way to earn money. You would usually have to spend a minimum of 30 seconds to a minute on each email or ad to qualify for a reward which is usually 1 cent to 10 cents for each email you open or ad you read. I’ve seen people post on forums stuff like “Yay! I got payout”. So you made $16.60 clicking on ads for $0.03 per click? How long did that take you? “Get Paid To” and online surveys aren’t ways to make money online that I would recommend. You can earn much more if you took the time to learn a valuable skill like setting up WordPress websites or learning affiliate marketing. As of late, there seems to be a growing trend where scammers are now targeting people who want to make money online to try to get them into binary options trading. I’ve reviewed a couple of products where the owner claims to be giving away a free software. The catch is that you’ll need to deposit a minimum of $200 to use towards trading binary options. The software, they claim, will make the picks for you. Binary options trading isn’t like trading on the stock market. This type of trading should not even be called trading because to be honest, it is more like gambling. I do not personally have experience with binary options trading. I know that it is a very risky way to “invest” your money. Don’t let anyone tell you that this is another way to make money online. Truth is that it’s just another way to LOSE money online. This article from Forbes.com should put you up to speed on the riskiness of binary options trading. No matter what we do, we will always have scammers trying to take advantage of people who are inexperienced but determined. The reason why the same scams are perpetuated online is because there is always someone new looking for information. As they say, “a sucker is born every minute”. And it doesn’t matter how much you call a guru a scammer or try to out his products, he’ll just shut down his last one and come up with a new one in the next four months. Don’t try to scam others out of their money – if you have to publish fake screenshots and practically lie just to sell something then you know what you’re doing is wrong. In the end, you lose your credibility and tarnish your own name for the sake of money. Don’t help the scammers by promoting their products – It’s sad that I usually have to write a review to warn people about scams yet there are other website owners who will lie and say that the product is the best thing ever. Don’t be one of these guys – people do ask for refunds. We need more ethical affiliates trying to help others solved their problems. A lack of retail sales is also a red flag that a pyramid exists. Many pyramid schemes will claim that their product is selling like hot cakes. However, on closer examination, the sales occur only between people inside the pyramid structure or to new recruits joining the structure, not to consumers out in the general public. A big example of such a scheme posing as a legitimate MLM in my opinion is Empower Network. If you’ve been searching for a way to make money online within the last year or so then you’ve probably heard about them. They absolutely do not make any retail sales outside of their network and their product aimed at people joining the structure isn’t really a product because even after you’ve paid for it, it is still owned by the founders. As illegal as it is, there are people (mostly Empower Network) members that will try to convince you of it’s legitimacy. They themselves do not understand what they’re involved with. The only “matrix” I can get with! Empower Network is just one of the MLMs that I’m talking about. There are others that have popped up since like Pure Leverage and My Online Business Empire. Paying someone to have the opportunity to get someone else to pay for the same opportunity isn’t a great way of making money online and should be avoided because it is illegal. Furthermore, the word matrix, which explains the compensation plan for MLM schemes is a word that has always made me gag. Unless of course, it has Neo and Morpheus in it. These are just four of the types of bad choices you can make when it comes to making money online. In all these cases, you’re more than likely to lose money instead of making it. Take note and be safe. If you’ve had any experience with any of these methods, let’s hear about it in the discussion area below.